Letris 2 is similar to Tetris. Letters fall down and you must spell words. Extra points if you can clear the board. I've done the first 2 levels and must admit: it's fun. And hey, it's free. 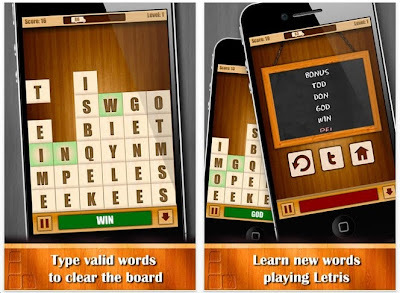 One of the Best puzzle apps of 2012? Possibly.